Over the past couple of weeks it's seemed all of my listening time has been spent digging into the vast troves known as box sets. In late November I ran down ten of my favorite sets from 2013 for gift-giving purposes. Last week I highlighted three more jazz-related sets that didn't fit into the original column. And here I am again, this time writing about the behemoth of the year, the first volume of The Rise & Fall of Paramount Records from Revenant Records and Jack White's Third Man Records, dubbed a "wonder-cabinet" rather than a box set by its creators. 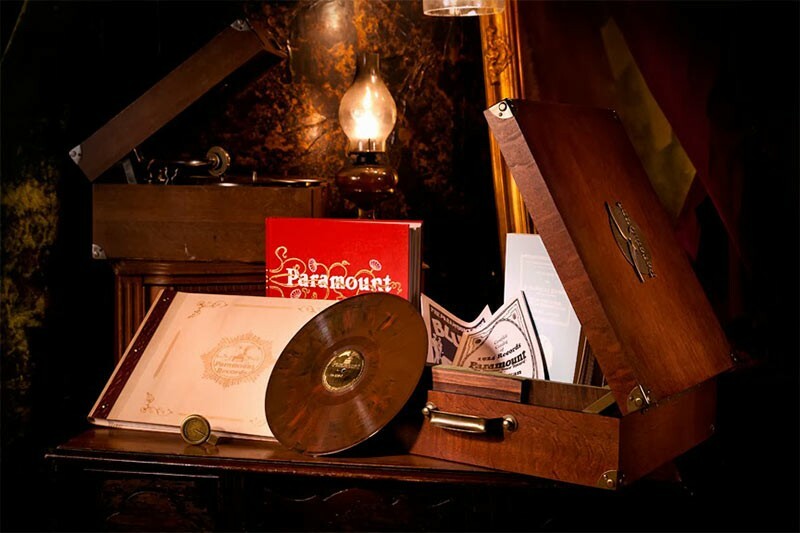 As detailed in a Reader feature this past April, Paramount Records was an outgrowth of the Wisconsin Chair Company, which began recording music for release on 78 RPM disks so folks would have more music to play on the cabinet-encased record players the company was manufacturing and hawking. The label was notoriously slapdash in many ways, pressing the music on low-grade materials that didn't hold up to repeated plays and casting a broad net when it came to signing artists. But in the end the label captured some of America's greatest jazz, gospel, and blues artists. In fact, it's the company's recordings of blues artists—Ma Rainey, Blind Lemon Jefferson, Son House, Charlie Patton, and Papa Charlie Jackson, among many others—that have long attracted the most attention. This new box set is housed in a massive oak cabinet and includes six LPs, two thick books containing the label's history and in-depth discographical information, and a USB drive with 800 tracks from the label's catalog recorded during the years covered by this set, 1917 to 1927. A second volume, due in November 2014, covers the label's final five years. While the first volume is packed with some great blues, it's dominated by early jazz, most of it from Chicago during a time when our city was arguably the epicenter of the burgeoning form. Between 1923 and '25, for example, the New Orleans pianist, bandleader, and composer Jelly Roll Morton, recorded about a dozen sides for the label in Chicago, where he was living and working. And while the 800 tracks include less important music the company recorded, the set remains a dizzying thing to get lost in. I've spent the last couple of weeks returning to it and digging into primo traditional jazz from the likes of Morton, Ethel Waters, Freddie Keppard, Lovie Austin, King Oliver, Johnny Dodds, and Fletcher Henderson. And I've been getting further educated by discovering the music of many also-rans, whether it's the ragtime-flavored sounds of Everett Robbins and His Syncopating Robins or Boyd Senter, one of the many white bands obsessed with the sound of early jazz. The set doesn't exactly work as a primer of early jazz and blues, and with a price tag of $400 it's not something to pick on a whim. Back in November, Dean Blackwood, who runs Revenant, was in town for a promotional event at the Green Mill, where the label displayed copies of the massive 25-pound set. In the past, Revenant has earned praise for the elaborate packaging of box sets devoted to Albert Ayler and Charlie Patton, but as Blackwood told me, these tend to have a short life—people listen to the music for a while, then eventually shelve the set because it doesn't fit neatly into their system of filing conventional records or CDs. That's certainly the case with the Paramount set as well, but it's also too large and hefty to stash away. The label sees this set as a kind of furniture or a minisuitcase that's undeniably handsome and sturdily built. I removed the two books from it and kept them near my bed to read; the USB is by my computer and the records are currently by my turntable. The box all of it came in, however, is sitting on a table in my basement, out of the way. It's physically a collector's item, but the music is so good, so fascinating, and so rich that it manages to justify the set's air of hubris. It's a little late in December to impulsively purchase the item—released in an edition of 5,000 copies—as a gift, but if you can afford it, it's something a certain kind of person could buy for himself any time of the year. Below you can check out a few selections by Fletcher Henderson, the Pickett-Parham Syncopaters, and Ethel Waters. Fletcher Henderson's Orchestra, "Down Hearted Blues"
Ethel Waters and Her Jazz Masters, "Georgia Blues"